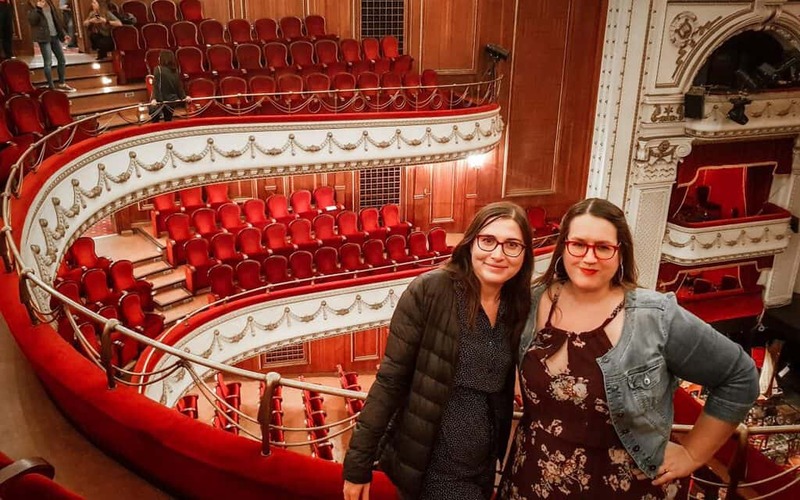 Whether you love opera or you’ve never been before, the Sofia Opera is an elegant way to spend an evening in the city. And it won’t break the bank. 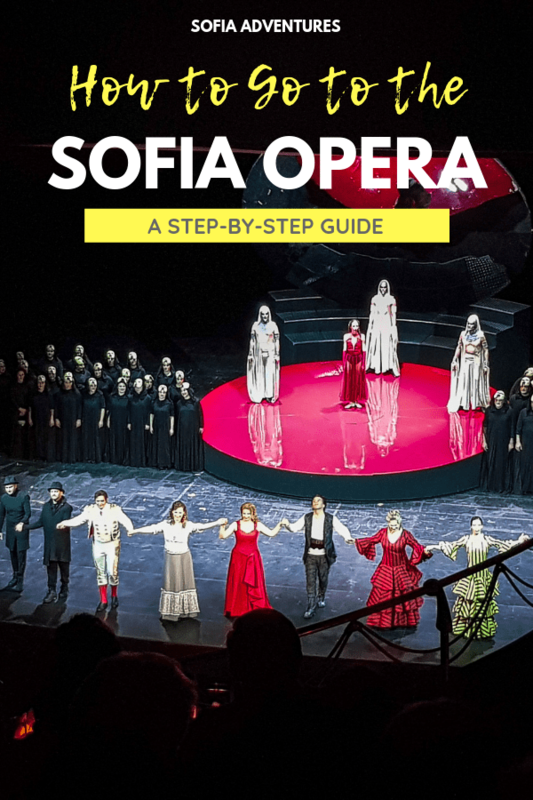 Here’s everything you need to know to plan your night, from how to go to the Sofia Opera, how to get tickets, what to wear, and nearby restaurant and bar recommendations. 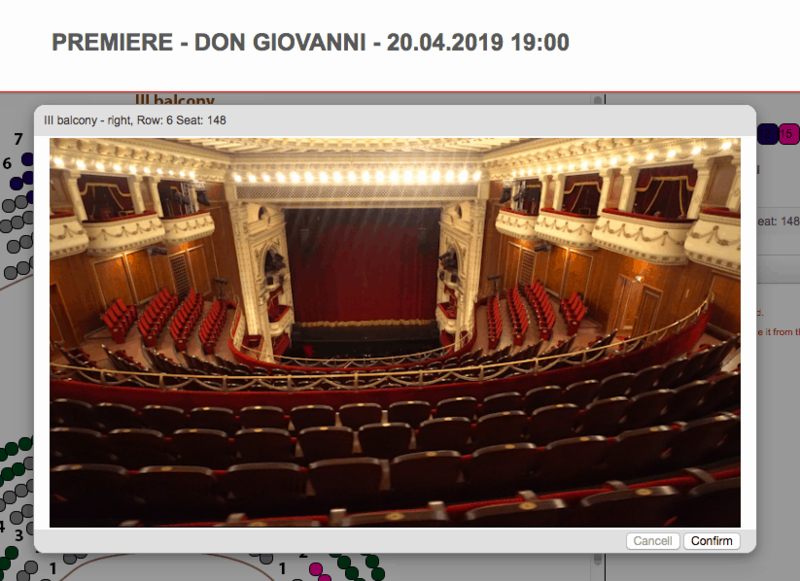 If you want to see a performance at the Opera House, you can check the schedule of upcoming shows at the Sofia Opera and Ballet website, which is available in Bulgarian and in English. Here you can find the schedule for operas, ballets, concerts, and special events for children. 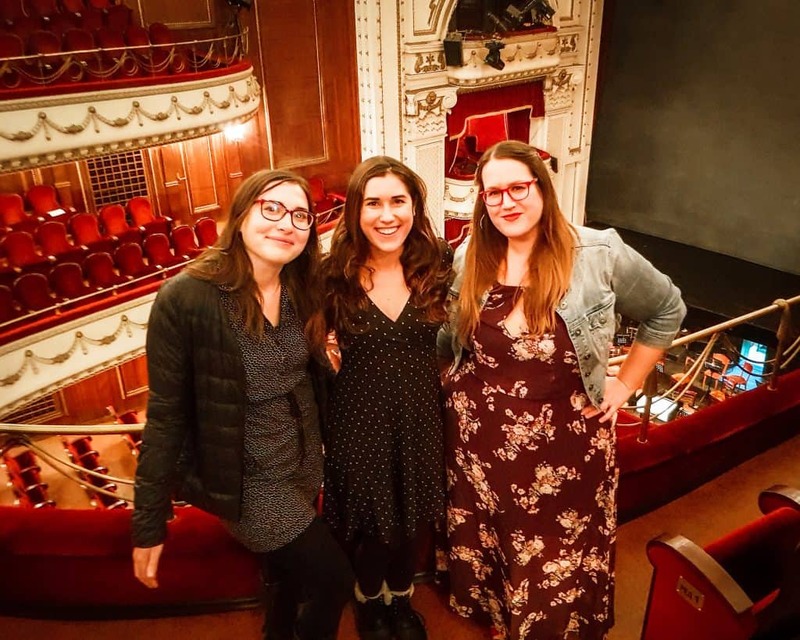 Opera season typically runs from September through May or June. There are a few performances available in July, but most of them are either special festivals in Belogradchik or Melnik. However, if you’d prefer your opera in an amazing natural setting, then attending Belogradchik Rocks or the opera at the Melnik pyramid are great options. There are two options for buying tickets for the opera. 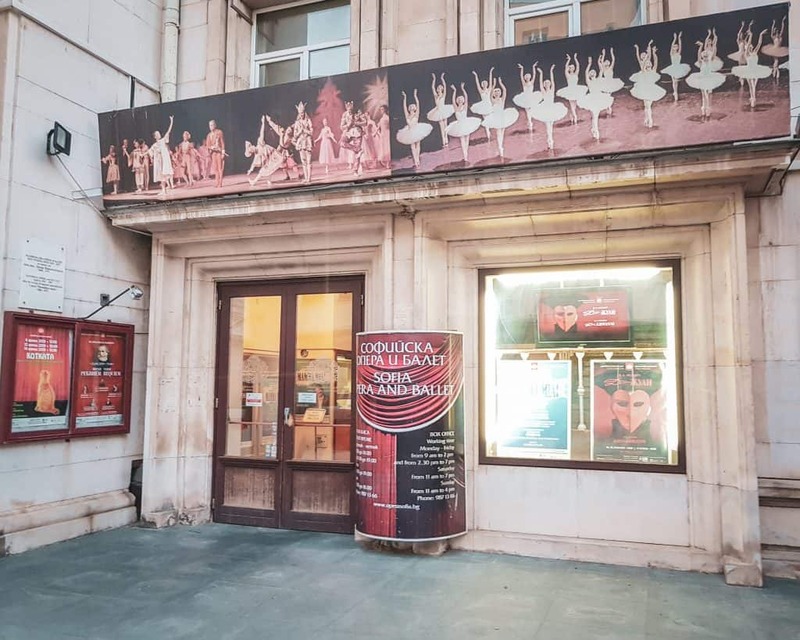 The first is to go down to the Sofia Opera and Ballet ticket box, which is located on the right side of the opera house (if you’re looking at the building from the street). They can process payments in cash or with a credit card. Weekdays from 9 am – 2 pm and from 2:30 pm – 7:00 pm. This is a great option for someone who wants to ask alot of questions before selecting a performance to see. When you buy your tickets online, you can make sure you like the view from the seat before you purchase. Step 1. Create an online account on the Sofia Opera and Ballet website. I found the website works great in Chrome, but it’s glitchy in Safari. Step 2. Select the show you want tickets for. Step 3. Select your seats. The prices for tickets start at 12 leva to 100 leva. We chose 15 leva seats in the second balcony. You can see the different price tiers on the seating chart. If you clock on the seat, it will show you what the stage looks like from that seat so you can make an informed decision about where you want to sit in the theater. Step 4. Check out and pay by credit card. They accept Visa and Mastercard (not American Express). You can only buy eight tickets for a single performance, so if you have a larger group you’ll need to make multiple purchases. Step 5. Check your email. You’ll receive an email with two different attachments for each ticket. The first is a PDF that you can print, and the second is an electronic ticket you can use on your Android or iPhone. Step 6. Print your PDFs or download the ticket passes onto your phones and follow the email instructions for making you have the right app. For my android, I had to download Pass2U Wallet and the ticket file. It auto-uploaded the ticket into my wallet, and when the show was about to start it alerted me so that I could easily find it. Step 7. Have your tickets (hard copy or the app) handy for when you go into the show. No one ever actually scanned our barcode, but they checked to make sure we had the right tickets. The opera is a great excuse for guys to bust out their jackets, but you don’t HAVE to. 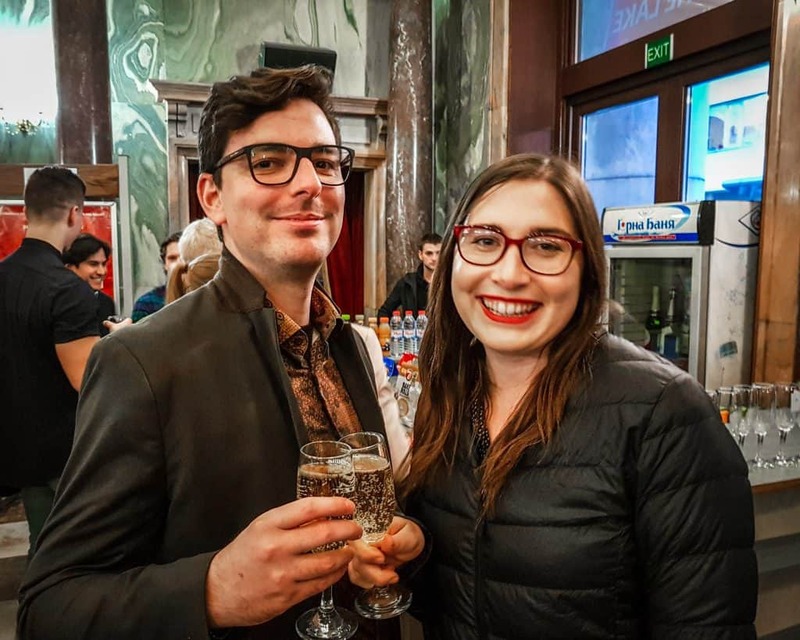 The listed Sofia Opera dress code is “formal attire is recommended.” However, unlike when I saw an opera in Vienna, people in Sofia dress from casual to church-fancy. I didn’t see any gowns, but lots of cute dresses. Some people wore jeans. It’s a good place to wear your smartest clothes as a traveler (and pack something casual-fancy if you’re planning ahead). However, if you showed up in Sofia with nothing but jeans and t-shirts, you can still go and you won’t be alone. We sat in the second balcony and we could see pretty well. The Sofia opera house has three balconies and the ground floor. Before you purchase tickets online, it will show you the seating plan so you can make your decision. If you buy the tickets in person, I believe they will show you the seating plan, but if not you can always ask to see it. Walking from the restaurant to the opera. 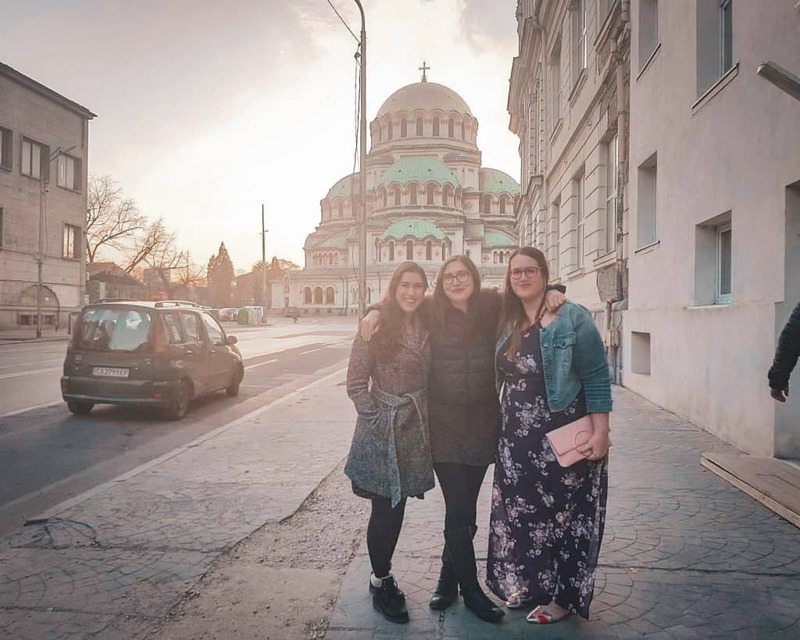 We never miss a chance for an Alexander Nevsky cathedral photo shoot. We walked over, but if you choose not to walk, you can take public transportation or a taxi. If you take public transportation, expect to walk to the theater from your last stop. Alternatively, you can take a Sofia taxi. They are inexpensive and reliable. Read our Sofia taxi guide to learn how to avoid taxi scams here and which companies to use (and how to order them). 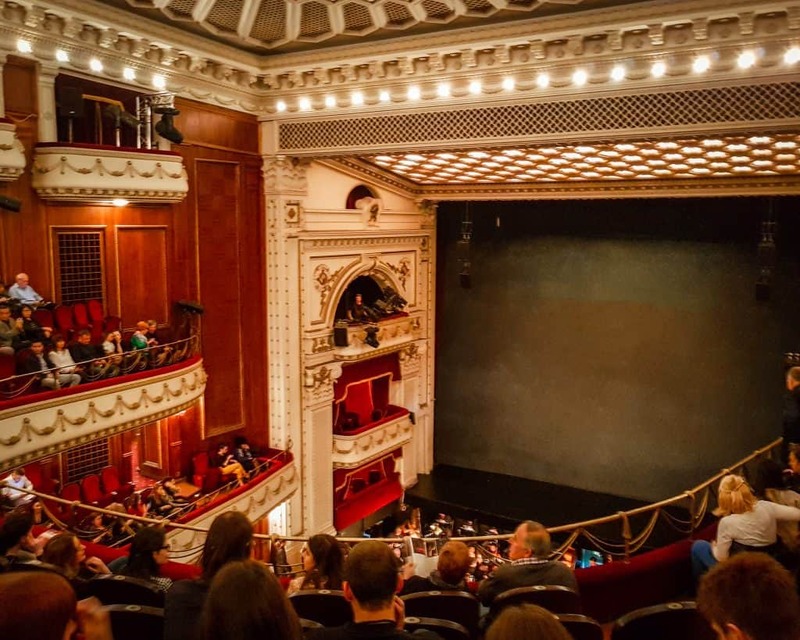 The typical night at the opera will last three hours or longer, depending on the length of the show. We arrived for the show at 6:45 pm so we would have fifteen minutes before the performance, and I ordered my taxi to go home at 10:20 pm. This means that if you don’t eat before the show, you’re going to be eating dinner at 10:30 or later. Much later if you can’t find a restaurant with a kitchen open after 10 pm. We ate dinner at the new restaurant In Focus, which is just a fifteen-minute walk from the theater. 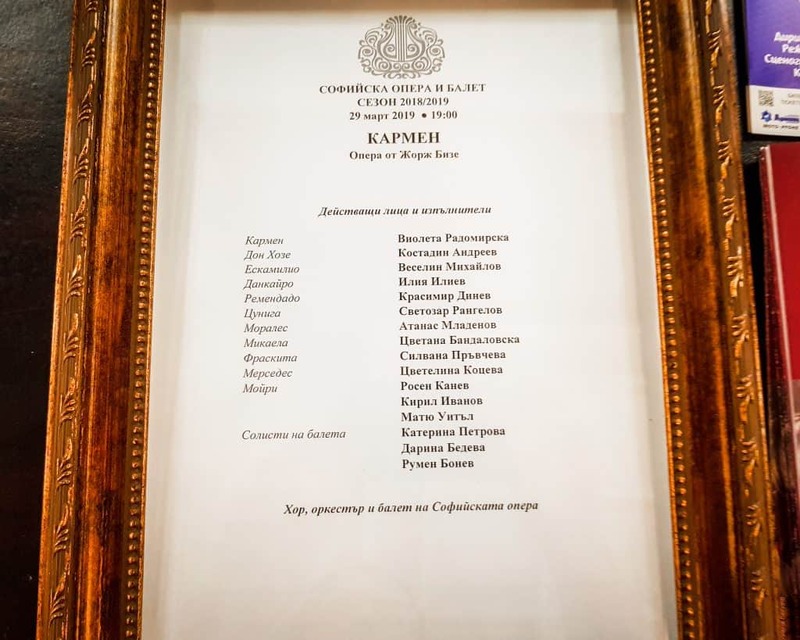 Even though it just opened in December, the Tsar has already eaten there, which basically means that it’s the perfect place to go before enjoying a historic art form like opera. Arriving at 5 pm, we had time for a three-course (absolutely amazing) dinner. 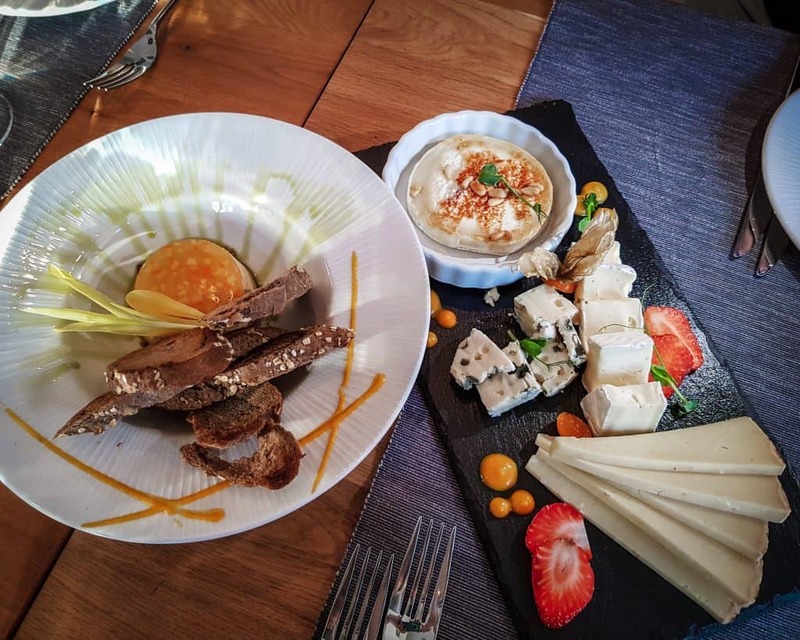 We started with a fabulous cheese plate and foie gras, for entrees some ordered pork shoulder while others had chicken and lentils, and for dessert, I had a chocolate souffle with gorgonzola. The five of us also split two bottles of Bulgaria wine. It was a perfect pre-opera dinner. The cost for the dinner, including the standard 10% tip, was 305 leva (about $175 USD) or 55 leva per person (about $32). 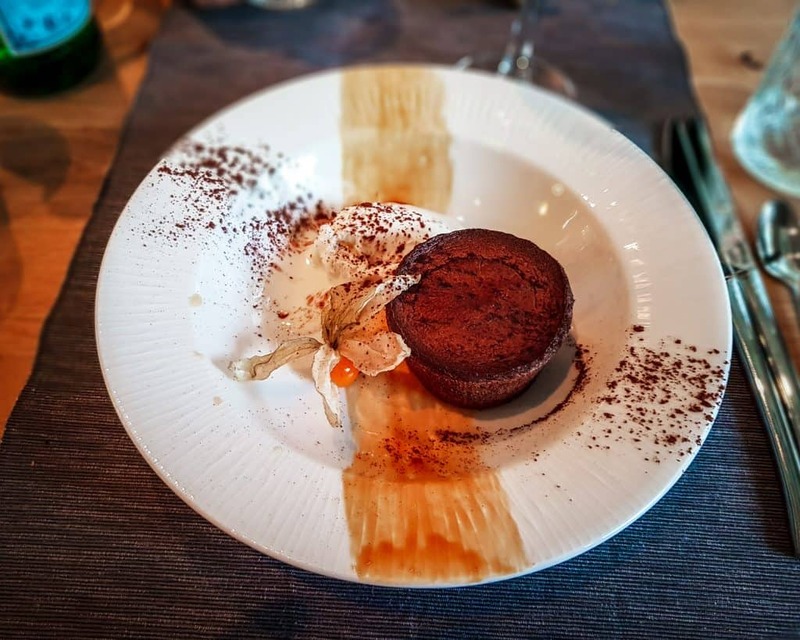 While you can certainly find less expensive restaurants in the city, for the amazing quality of the food paying $32 each for an excellent three-course dinner with wine was a perfect treat. Because In Focus is so close to the theater, it’s a great place to eat before the show. Make reservations ahead of time (Bulgarians are big on reservations) just to ensure you don’t have to wait. Note that you can’t eat here after the show since the kitchen closes at 10 pm. If you’re looking for a restaurant in a different part of town, we have tons of options in our Sofia restaurant guide. Sofia is a great city for nightlife. If you want to get after-opera drinks with a view, I suggest walking over to Sense Rooftop Bar. 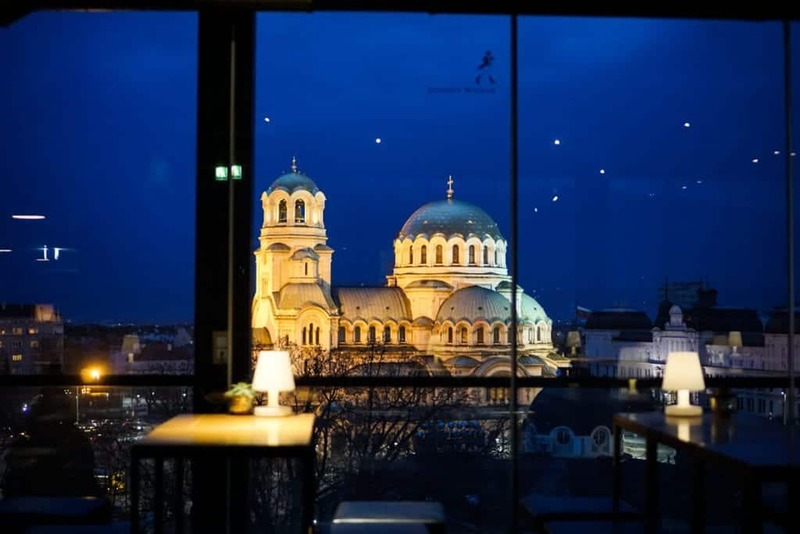 From here you can enjoy cocktails or Bulgarian wine with a lit Alexander Nevsky Cathedral in the background. It’s one of my favorite places in the city. The walk is about ten minutes, so no need to call a taxi! If you’re looking for a bar with a slightly different vibe, check out our guide to Sofia bars. For additional ideas for what to do in Sofia at night, check out our Sofia nightlife guide. If you’re looking for hotel recommendations for your stay, we LOVE Sense Hotel. The roof bar is on the top floor, and many of the rooms have the same amazing view. Check rates, reviews, photos, and availability here. Hanging out after the opera. Opera plots are not super tight or intricate. Instead, they usually are a few passionate moments with lots of action in between missing. It really helps if you know what the basic outline of the story is before you go so you know what’s going on. I find it’s more fun to listen to music at the opera if I recognize it. You can usually find opera score to listen to for free on YouTube or Spotify. As outlined in the dinner section, operas are long (three hours or more). Make sure you don’t go hungry. If you can’t eat a full dinner beforehand, at least have a good snack and bring snacks in your purse. (Keep these hidden and only get them out in case of emergency, since they technically aren’t allowed). You cannot have your phone on during the performance. This means no photography until intermission or curtain call. The titles above the stage will help you with understanding what’s going on. 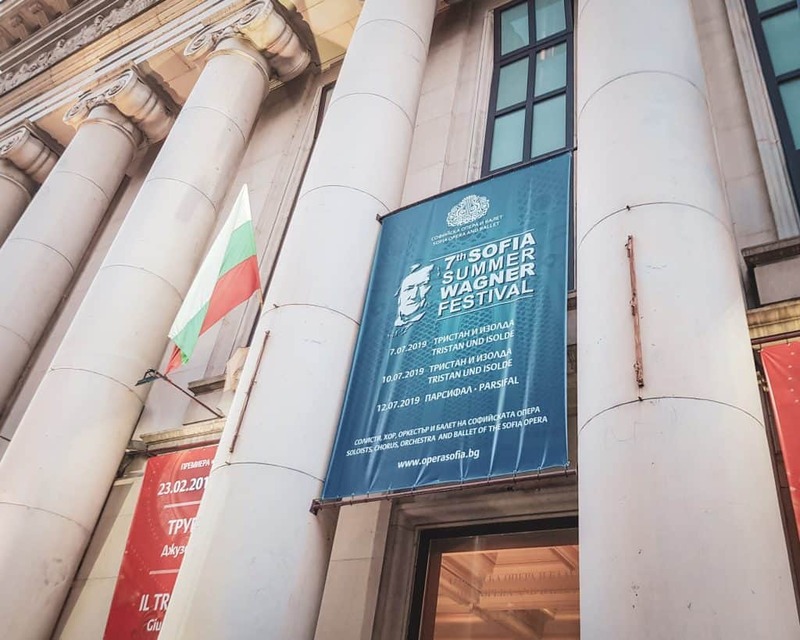 How much do the Sofia Opera tickets cost? They range from 12 to 100 leva (about $7 to $58 USD). Can you purchase tickets online? Yes! See the step-by-step instructions above. Can you pay with a credit card? Yes! Both online sales and the box office take Visa and Mastercard. They do not take American Express. How early do you need to buy tickets? The tickets don’t sell out that early, but the bulk of seats are usually purchased early. If you wait until a week or a few days before the show, you can probably find seats but they most likely will be on the third balcony. Can I take photographs of the performance? No. During the show, you must have your cell phone turned off. However, you can take photographs in the hall before the performance, during intermission, and after the performance. If you want to get pictures of the actual performers, you may do so during the curtain call. Keep your cell turned off during the show, but you can take a photo of the curtain call! Do I have to turn my cell phone off during the performance? Do they have a coat check? Yes, there are coat checks provided free of charge. It’s polite to leave a leva as a tip for each person using it. You need to be there fifteen minutes early or more. If you arrive late, you will not be allowed to go to your seat. Instead, they’ll take you to the back of the third balcony where you can watch until intermission. If you want a program or playbill, they cost 5 leva (about $3). Yes! 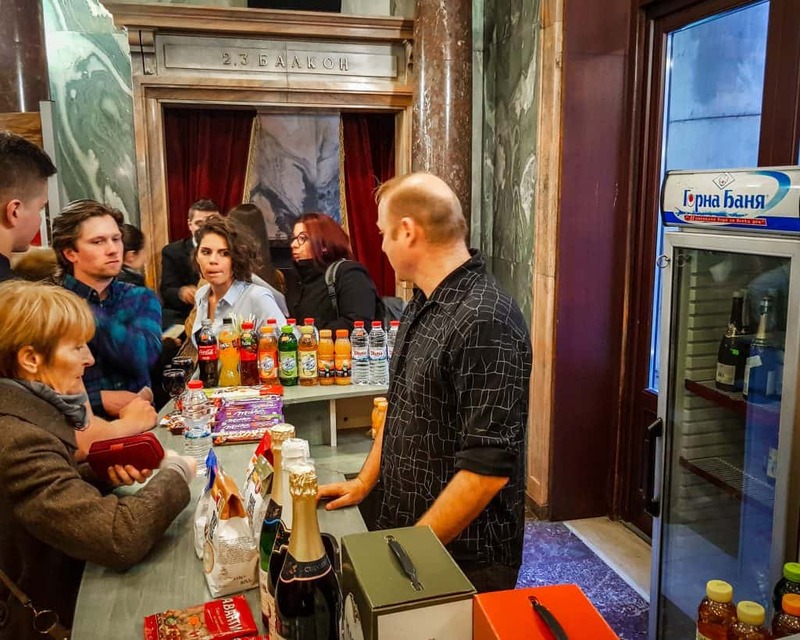 You can buy sparkling wine, wine, sodas, water, and snacks (including the ever-present Balkan Bake Rolls) in the foyer before the show and during intermission. You cannot, however, eat or drink in the theater. You must finish your snacks and drinks before you enter the hall. Concessions are cash only. What languages are the Supertitles in? 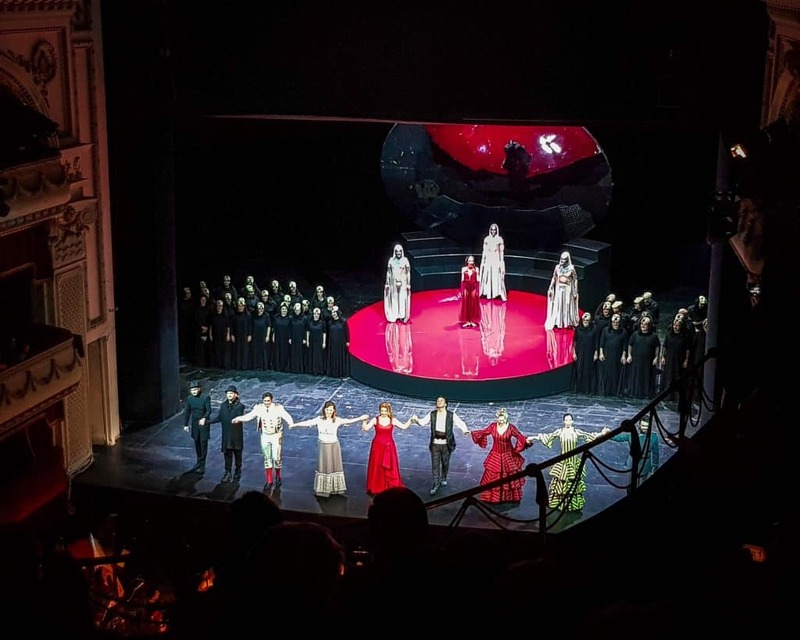 The operas are projected above the performance in Bulgarian and English. Will you be able to understand what’s going on if you don’t speak Bulgarian? Yes! The performances aren’t in Bulgarian. The operas are performed in whatever language the opera libretto was written in. For Carmen, the performance was in French. 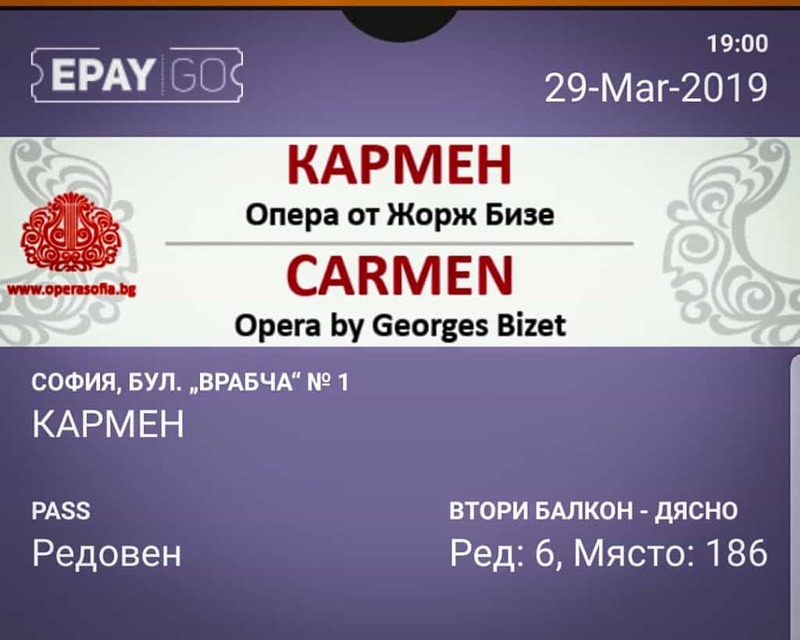 Since the supertitles above the stage are written in Bulgarian and English, you will be able to understand the performance. Intermission is about twenty minutes. 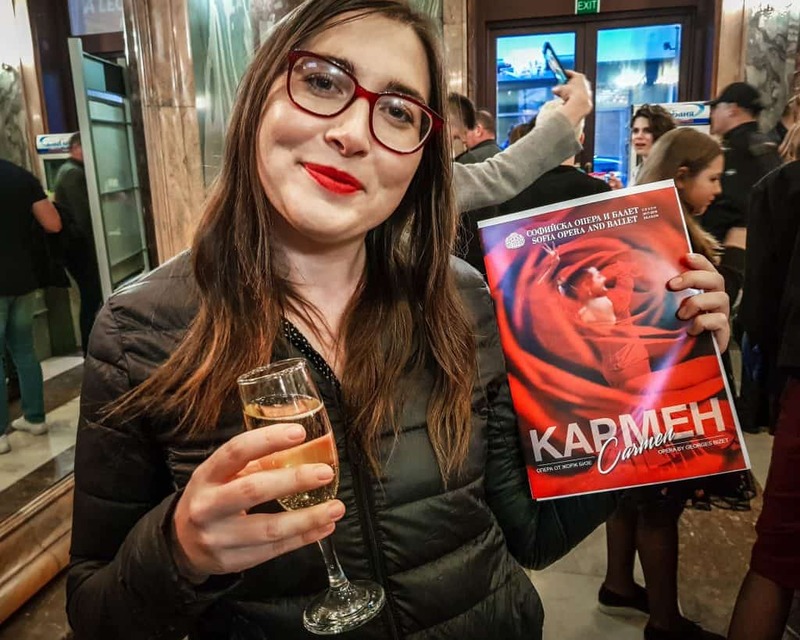 Can I bring my kids to the Sofia Opera? Children under 5 are not allowed during the ballets or operas. Since cell phones are not allowed to be turned on during the performance, you may want to consider if your child can sit still and quiet for the three and a half hours of the performance. I saw my first opera at fifteen. Unlike a play, there just isn’t enough action going on to entertain a child if they can’t keep up with reading the supertitles. I think even a kid that likes Shakespeare might struggle because there’s just so much less going on.